Someone made me make goals for the past few months. 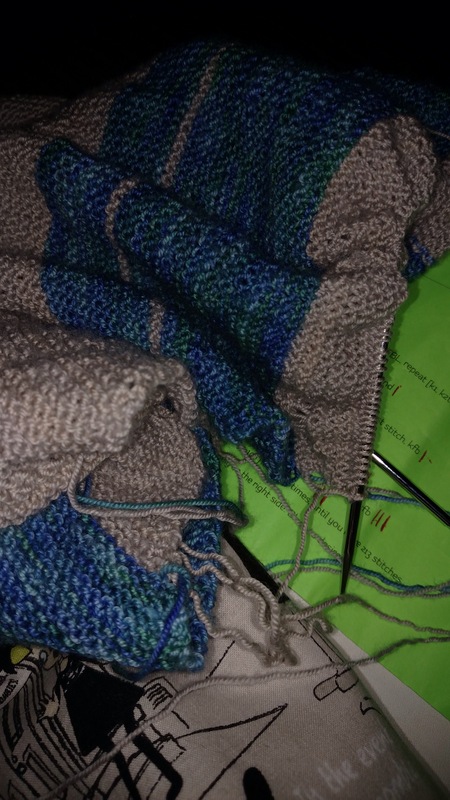 This month, one of them was to warp my inkle. I kind of ran right through that goal and also wove it. It is a mess, but whatever. Next up? 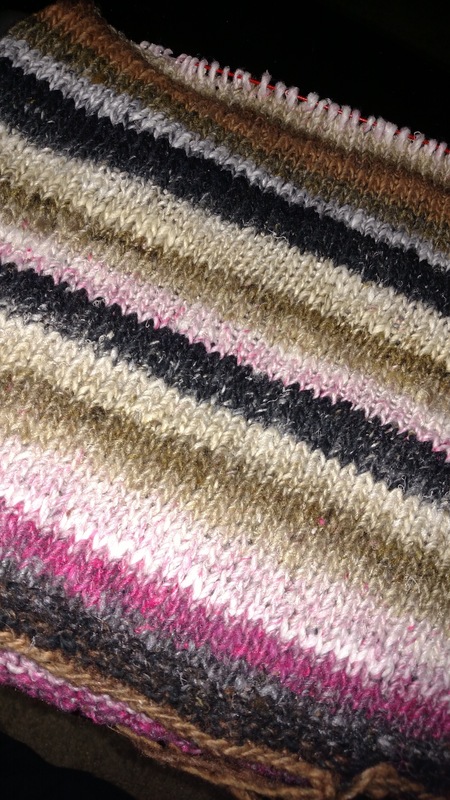 Putting my Spunky weaving club warp on my rigid heddle. My true love gave to me…. 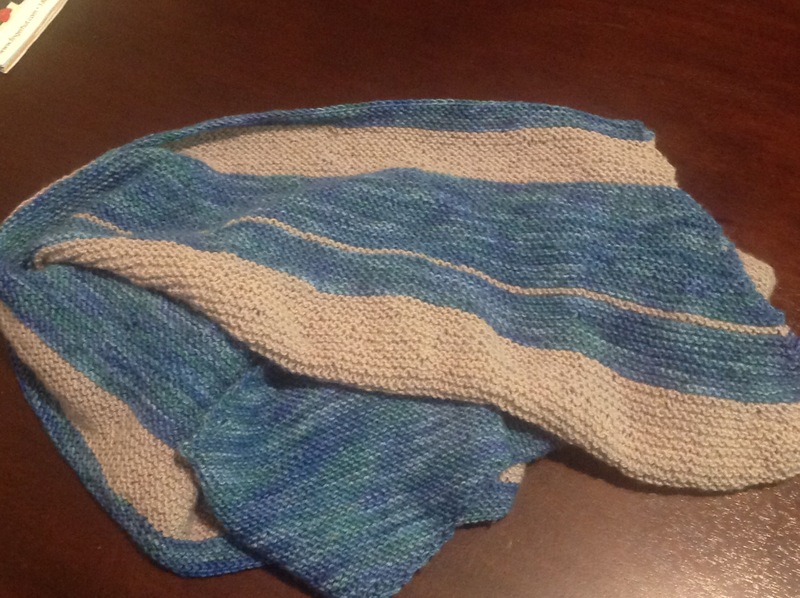 an FO because of an Aussie. Hey, it rhymed. Julia shawl, details here. 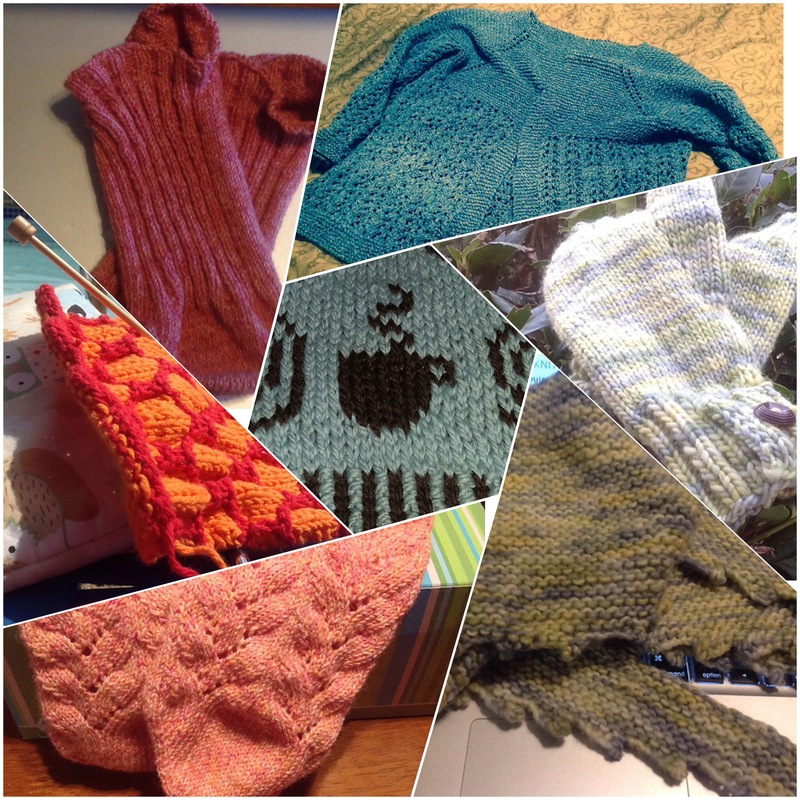 But I will tell you that it took almost a year to knit. Because life. Well, and ALL the stockinette was slightly boring. I’m now “working” on the sweater I started last February. I only have a sleeve and the bottom edge to finish. Again, life. I’m trying to buckle down now that it is cold and the month that Cookie makes me do things. In case you were wondering, she’s been making me do things since 2013. I don’t care if she now wants to be a Cow, she’ll always be a crisp, yummy, chocolate chip with walnuts. Because I want nuts today. Yes, there is a joke in there somewhere. p.s. yes, I know it is the 6th.